Though it’s been a while since we have reviewed an In Win case, they have been hard at work building the latest CES Innovation Award Winners, the S-Frame and D-Frame Mini. 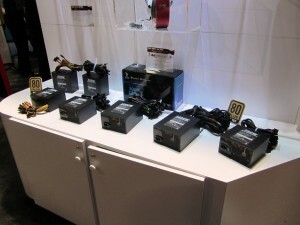 In Win also had on display some of their other cases, power supplies and accessories. In Win also boasts about the S-Frame’s “Open Frame Structure Independent Airflow Design,” which says air enters through the bottom and exhausts out the top of the case. I do not doubt that an open air case offers better airflow, but this likely has more to do with the openness rather than the specific internal design. Like previous In Win top-of-the-line cases, this is not widely available and will set you back $799. I will say, it looks awesome and modded versions kept showing up as we visited other manufacturer showcases, like MSI and Kingston. Also taking home a coveted CES 2015 Innovation Award is the D-Frame Mini. 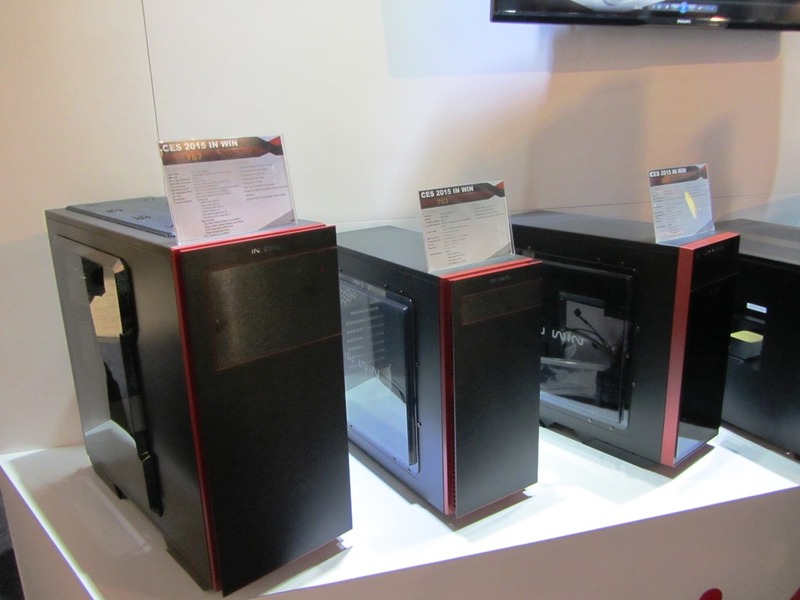 This chassis takes the same award-winning design as the original D-Frame and shrinks it for the mini-ITX form factor. Like the S-Frame, this case has tempered glass on either side. The frame itself is constructed of 4mm welded aluminum tubing, which can also act as a convenient carrying mechanism when transporting your system. Shock-proof rubber stands line the frame on all sides, meaning your rig can be placed on any side. If you’re feeling adventurous, the D-Frame Mini can even house a 240mm radiator and up to five 2.5″ bays (or three 3.5″ + two 2.5″ bays). The matte black edition will hit the shelves first, followed by orange and red versions later. Building on the S-Frame’s unique one-piece construction, In Win also had their new S-Box chassis on display. Instead of fifteen bends, the S-Box has four. If you’re paying per bend, that means this particular case might come in around $213. In Win did not yet have a price, however $213 might be too low of an estimate considering the craftsmanship. This full-tower can house a ton of components, including high-end water cooling. It even has a top bay that could offer access to a reservoir for an easy refill. Aside from the highlights above, In Win also had on display a few refreshed versions of their 700 line of cases, several power supplies and a host of accessories. Stay tuned for more coverage of CES 2015 as soon as we’re able to post it all.